If you are getting divorced, assets and investments need to be split so you can move on in your financial life. You will need to do a fair valuation of all your joint assets. Complete and fair valuation of all shared assets and the costs associated with liquidation. Assess the facts and provide you and your attorney with the tools that are needed to negotiate during the settlement. Additional analysis can be used to assist in settlement negotiations to ensure your best financial outcome. Map your next steps. During this period of change, we can assist you in developing a financial strategy for your future. We can provide sound financial advice on how to redeploy your investments. Working with a Chartered Financial Analyst at CTA Financial ensures that you will not only receive a thorough review of your current investments and assets, but more importantly, our analysts will assist you you in mapping out a sound and beneficial financial strategy for your future. WHY HIRE A CFA® CHARTERHOLDER TO MANAGE YOUR WEALTH? Your wealth manager should be on the leading edge of every facet of your financial life, anticipating your needs and helping you create an investment strategy to achieve your goals. Fewer than 1 in 5 candidates becomes a CFA charterholder. 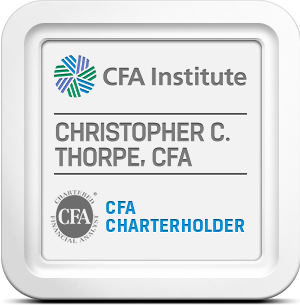 It takes an average of over 1,000 hours of rigorous study, along with four years of professional experience, to earn the distinction of being called a Chartered Financial Analyst® (CFA) charterholder. CFA charterholders are trained to understand what drives value in all dimensions of your financial life. They have mastered more than just the art and science of securities analysis and asset allocation. They also have expert-level portfolio management skills, including the ability to integrate tax and intergenerational wealth planning. CFA charterholders recognize that trust is key to building a strong client-adviser relationship and are bound by the highest ethical standards — the CFA Institute Code of Ethics and Standards of Professional Conduct.